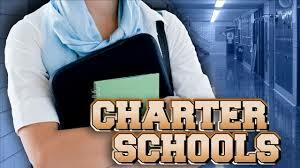 Charter schools form a growing and lucrative part of the municipal finance landscape. As we learned recently, charter school bonds can have stories beyond those told in their offering documents. Here is one uncovered by Bitvore for Munis. Last month, the California School Finance Authority issued $6.02 million in bonds for the benefit of Magnolia Science Academy in Reseda, California. The Academy is one of a dozen schools operated by Magnolia Educational and Research Foundation, a not-for-profit charter school operator. Magnolia is using the bond proceeds to purchase and upgrade the facility in which the Science Academy currently operates. Because charter schools are tuition-free, the debt will be serviced primarily from aid payments received from the State of California and the Los Angeles Unified School District in which it operates. The BB-rated bonds pay generous coupons ranging from 5.25% to 7.00%. The school has been operating since 2002 and is virtually full, suggesting a relatively secure source of repayment. Bondholders should be fine as long as LAUSD continues to renew the school’s charter, which is next up for renewal in 2017. Shortly after the bonds were issued, this benign scenario took a major hit – as Bitvore users recently learned. A local education news site reported that LAUSD shut down two other Magnolia schools. According to the report, the district decided to close the schools after receiving the results of an audit from its Inspector General. If two Magnolia charters in LAUSD have financial irregularities, it is reasonable to wonder whether others – including the Reseda-based Science Academy - have similar issues. Another challenge for Magnolia is its association with the Turkish Islamic Gulen movement. Reports on 60 Minutes and elsewhere have featured accusations that Gulen-linked charter schools rake off public funds by obtaining visas for Turkish immigrant teachers and then requiring these teachers to kick back a percentage of their salaries. The internet holds an incredible wealth of information and some of it may impact the value of your bonds. Finding that information and linking it to bonds you hold or are considering buying is the job of Bitvore.